For August, Gallery Calapooia’s featured artists are Susan Bourdet and Rob Robinson. The display will be notable for its contrast with the artists’ very different styles. 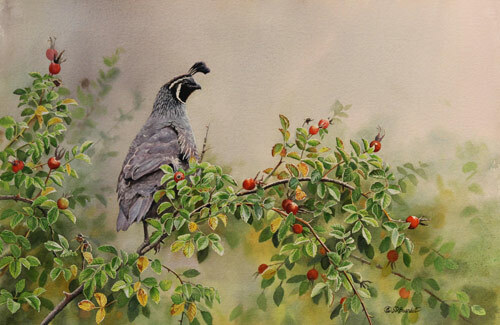 Susan paints very lifelike watercolor images of birds and other subjects while Rob does abstracts in acrylic paint or collage in a very abstract or non-representational manner. This entry was posted in and tagged Gallery Calapooia, Reception, Rob Robinson, Susan Bourdet on August 4, 2017 by Rob Robinson. 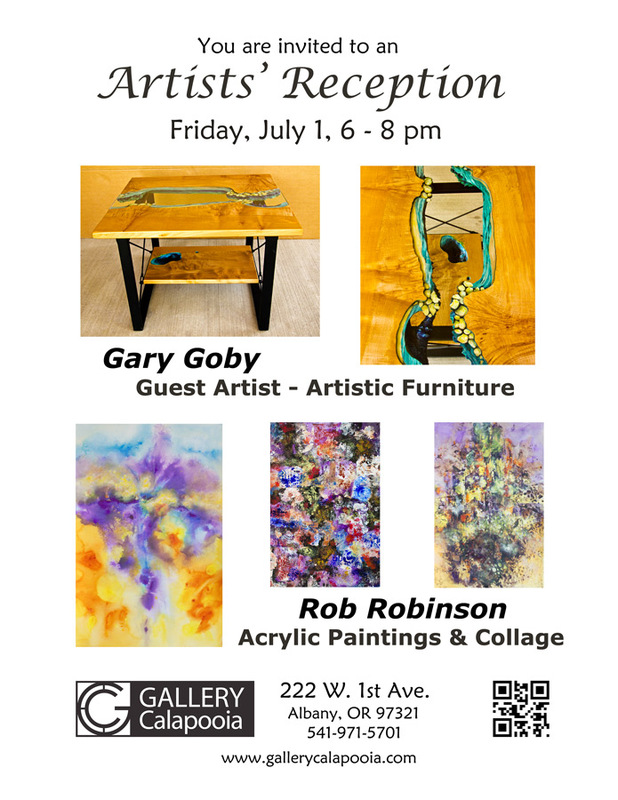 Join Gary Goby, Rob Robinson and the Gallery Calapooia artists for our monthly reception! This entry was posted in and tagged Gary Goby, Reception, Rob Robinson on July 1, 2016 by Rob Robinson. Join us for a night of fun and art with featured artists, Nancy Anderson and Rob Robinson. 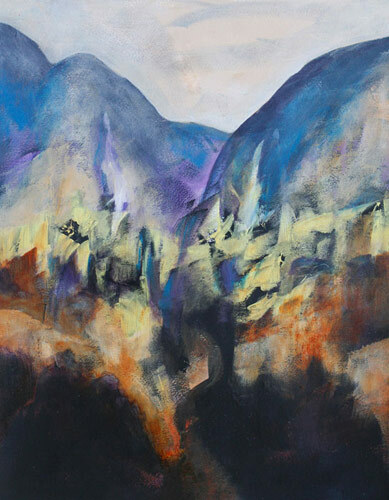 Nancy’s artwork combines painting and calligraphy and Rob makes collages and acrylic paintings. Have some wine and appetizers while enjoying Nancy’s and Rob’s artwork along with work by the other 19 artists in the gallery. 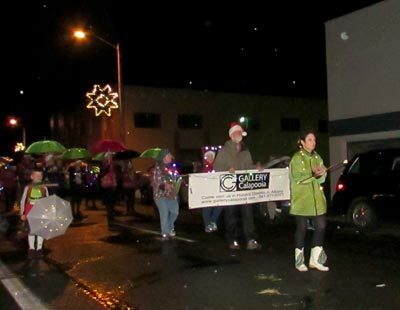 This entry was posted in and tagged Gallery Calapooia, Nancy Anderson, Reception, Rob Robinson on January 9, 2015 by Rob Robinson. Join us at the January Reception! 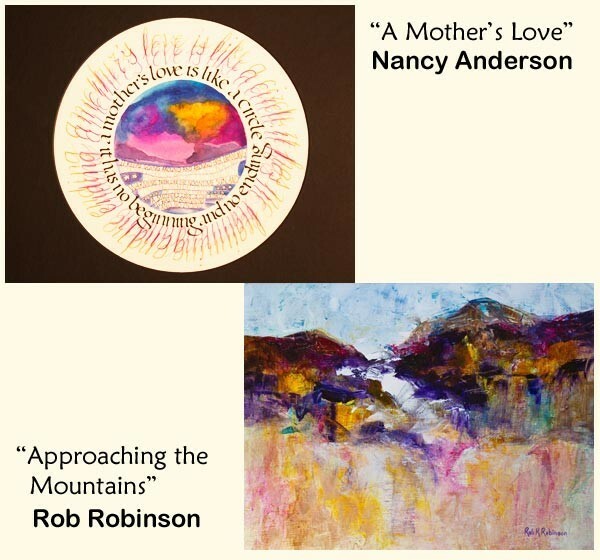 Join us for our first reception of 2015 when Nancy Anderson and Rob Robinson will be the featured artists. Nancy combines calligraphy, painting and the turn of a phrase to produce her captivating artwork. Rob will be showing his colorful acrylic paintings and collage. 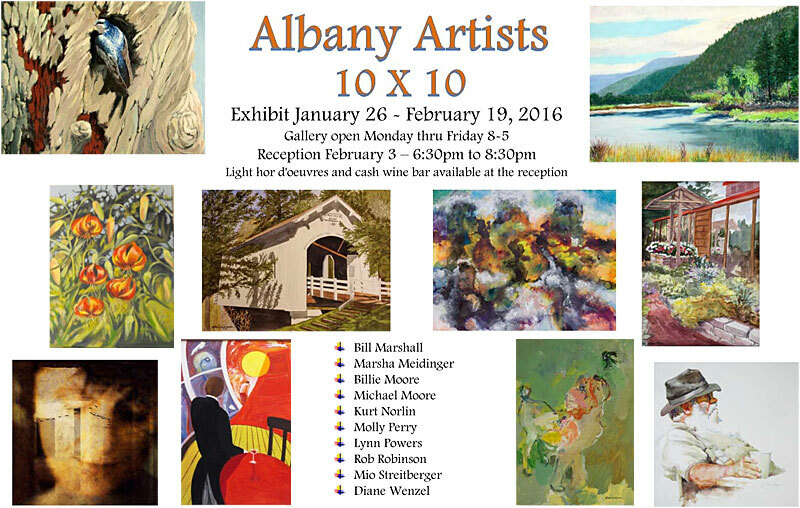 Have a glass of wine and some appetizers while enjoying the artwork of the featured artists and the work of the 19 other artists in the gallery. This entry was posted in Exhibit, Gallery, Reception and tagged Gallery Calapooia, Nancy Anderson, Reception, Rob Robinson on January 7, 2015 by Rob Robinson.